The first step is taking impressions of your existing teeth and gums to create accurate duplicates for placement after tooth removal. 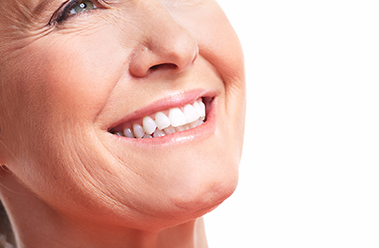 At yourextraction appointment, your immediate temporary dentures are inserted creating a natural smile you can be proud of. Great care should be taken to follow all postoperative instructions .Your gums and bone will recede after extraction, and regular check-ups and maintenance will monitor healing and reduce problems. Temporary linings or tissue conditioners will be required to create an optimal fit and may need to be adjusted or replaced a number of times during the healing period. The professionals at Dr. James F. Hutchens will advise you of the procedure that best suits your individual needs.